There is something special about light that wherever it shines, it brings life. Light always dispels darkness and brings about change. Look at the dawning of a new day, it brings with it new hopes, new opportunities, and at the same time new challenges. While new challenges might look daunting to those who are not accustomed to living in victory, yet that is a chance and an opportunity to rise up from their situation and let the LIGHT of CHRIST shine upon them and give them victory. “​1 THE LORD is my Light and my Salvation—whom shall I fear or dread? The Lord is the Refuge and Stronghold of my life—of whom shall I be afraid? I love this Psalm, it has always spoken volumes to me, it has always helped me to put my trust in the Lord and never be afraid. If the Lord is your LIGHT, the there is nothing you need to be afraid of. He is your salvation, your refuge and your stronghold. Remember we spoke about light overpowering darkness and that darkness has never and will never be able to overpower light? Well, when you are surrounded by enemies, it is like darkness all around you, but in that time of darkness AROUND you, remember the LIGHT is IN YOU. God’s glory is upon you, that’s why we read in Isaiah…..”arise and shine”. “​1 ARISE [from the depression and prostration in which circumstances have kept you—rise to a new life]! Shine (be radiant with the glory of the Lord), for your light has come, and the glory of the Lord has risen upon you! The darkness you might be facing right now has to go, there is nothing that can stand against the Light. Light is powerful, light is pure, light is life. Look at what Isaiah says in the first verse….oh yeah, he talks about light, but there is more to that than just light. He says, “the GLORY of the Lord has risen upon you”. There is a divine connection between LIGHT and GLORY. splendor or copiousness: — glorious(-ly), glory, honour(-able). glory, honour, glorious, gloriously, honourable, abundance, riches, splendour, dignity, reputation, reverence. God’s glory has a lot of characteristics, and when that glory is upon us, change is the only thing that can happen. 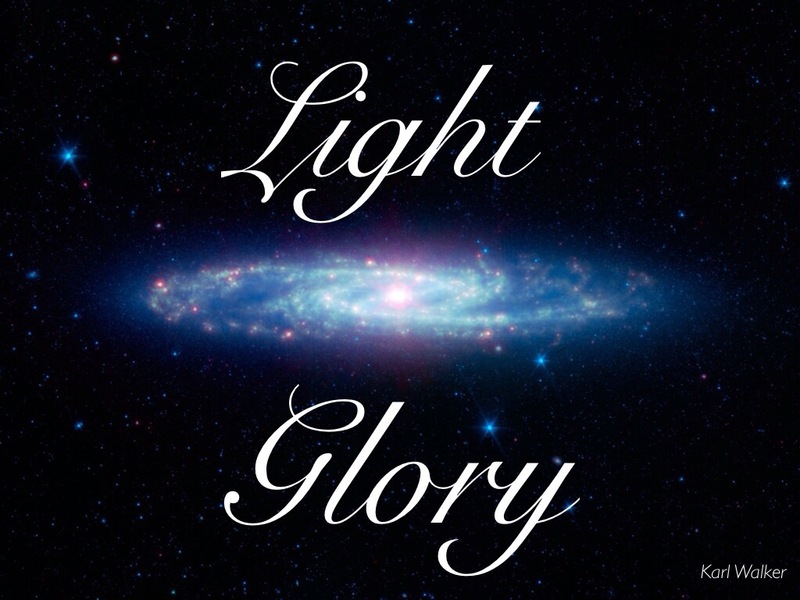 God’s glory is manifested through the light. Let’s look at a couple of verses in the New Testament. The true light is Jesus, and he came to bring LIGHT to every person. This is the LIGHT that brings hope to a dark world. This is the LIGHT we now carry that brings people out of their dark situations into the light. Look at the next verse…”we actually SAW His glory”. Imagine that! The disciples testified that they saw the GLORY of the Lord. The Greek word used in this verse for “glory” is DOXA. glory, dignity, glory(-ious), honor, praise, worship. opinion, judgment, view, estimate, whether good or bad concerning someone, in the NT always a good opinion concerning one, resulting in praise, honour, and glory, splendour, brightness of the moon, sun, stars, magnificence, excellence, preeminence, dignity, grace, majesty, a thing belonging to God, the kingly majesty which belongs to him as supreme ruler, majesty in the sense of the absolute perfection of glory. A couple of words from the meaning of GLORY in the New Testament stands out to me. Dignity – when God’s glory comes upon you, it restores your dignity. Opinion – God’s opinion of you is all that matters. Not your circumstance or situation. Judgment – you are justified in Christ. Estimate – you are of great value to God. Glory and light go together, and when we walk in the light, allowing the light to shine through us, we also allow the GLORY of God to manifest through us. When we speak about light, we should never forget that we are talking about Jesus. He is the light of the world, and it is this light that overcomes darkness. Looking at the life of Jesus, we see the glory manifested in him. In fact everything we have discussed these last three weeks reflects Jesus. If we need to model anyone, it should be JESUS. While we can follow the faith of other men of God, we should always make sure we are following Christ. If we are careful to follow Jesus we will have the Light which is LIFE. Jesus came to give us life, abundant life..John 10:10. God has called us out of darkness into his marvelous light for a reason. It’s not just that we could just be “happy and clappy” but to be lighthouses of power reflecting the light of Christ to those around us. “9 But you are a chosen race, a royal priesthood, a dedicated nation, [God’s] ownpurchased, special people, that you may set forth the wonderful deeds and display the virtues and perfections of Him Who called you out of darkness into His marvelous light. 10 Once you were not a people [at all], but now you are God’s people; once you were unpitied, but now you are pitied and have received mercy. 11 Beloved, I implore you as aliens and strangers and exiles [in this world] to abstain from the sensual urges (the evil desires, the passions of the flesh, your lower nature) that wage war against the soul. These few verses sum this up very well. We are called to manifest the LIGHT of CHRIST which is the LIGHT of the WORLD. Image | This entry was posted in Grace and Truth and tagged Christ, Church, doxa, glory, Grace, Jesus, Karl, Liberty, Life, light, Love, Mauritius, pastor, peace, Truth, Walker. Bookmark the permalink.